Will Your Dental Practice Survive? What a great question. We all dream of long and successful careers but forces beyond our control often derail or demoralize the dream. Just 10 years ago the industry leaders were all preaching “fee for service” and look how fast that changed. Now it is all about managing the patients insurance to maximize benefit expenditures. Regulation, annual registrations, OSHA, HIPAA and more are consuming time and revenue. What is going to happen over the next 10 years, where will your dental practice be? You could be a windshield or a bug. The Windshield and the Bug … Your driving along the NJ Turnpike and SPLAT! After a moment of silence, you hit your washer switch and the mess is gone. But what just happened, the bug didn’t see you coming and the windshield was put in place to prevent a collision with your face. The healthcare industry is flying down the highway and you don’t want to be the bug. It is time to start thinking, the changes are inevitable. Changes … The climate has been changing for billions of years. Like a wave it has peaks and valleys and as long as the earth exists I don’t see that changing. The practice of dentistry has also been changing over the years. 20 years ago the federal government enacted the “Clean Water Act” and we couldn’t dump developer and fixer down the drain. For those of us of more tender years, that’s what we used to develop x–ray film. Today, students graduating dental school don’t know how to develop film or what a Peri–Pro is. They also never heard of a NuvaLight or the difference between dispersed phase and spherical blend amalgams. Change happens and the last 25 years has been amazing, so where are we going and where are you now? Where are You Now? … Another great question! The introduction of 3D printers into dentistry is the next step. 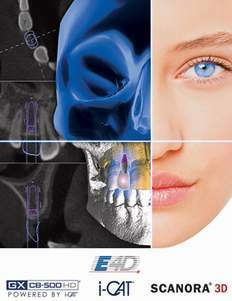 The software is ready, the equipment is ready, and now the materials are starting to come into the dental market place. In a short while you will be able to “print out” temporary crowns and (invisalign style) aligning brackets. Yesterday’s future is today, it’s time to engage. It’s Time to Engage … As a modern dentist you need to invest time in learning new techniques and procedures. As a modern business owner you need to reinvest in your business and utilize the new technologies to support clinical advancements. From digital impression scanners to CBT to insurance management, it all starts with your information (computer) network. Your Information Network … You used to have a computer network but today you need to change that terminology and think of it as an “information network”. The paperless world is here and your network needs to be able to handle and store all the data that will be required to maintain your dental practice records. This will cost money as upgrades and support services become necessary and you have to include these costs into you quarterly and annual budgets. This starts with a comprehensive review of your computer hardware and a discussion of what will be needed over the next 5 years. This is a “today” conversation with an informed professional. How far are you behind the curve. Please feel free to contact me with any questions or concerns. 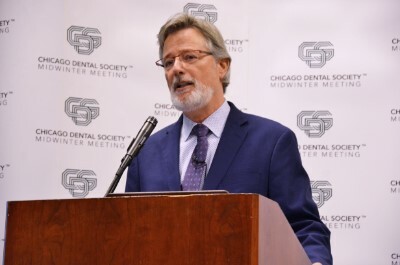 You have been to all the seminars and the experts told you how much mon-ey you could make fabricating an OSA oral appliance but they don’t bring up the patient deductible that usually leads to a non–treatment plan. The effort in screening and patient rejection made the program irrelevant when mixed in with the rest of the day so after a couple of months you forgot all about it. If this happened to you, you missed the big picture. 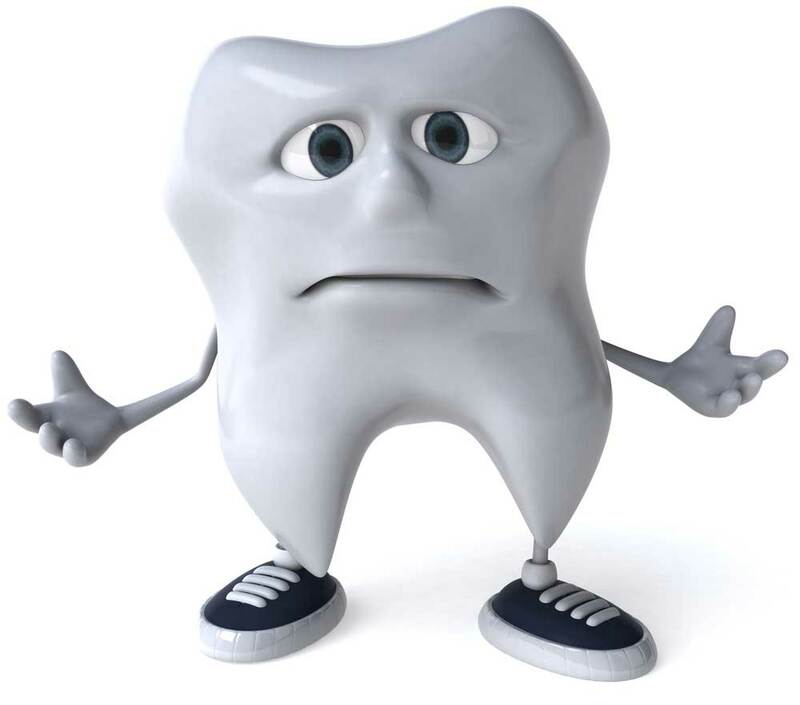 The Big Picture … A dental sleep medicine program is part of “Total Systemic Health”. Your patients think of you as just a dentist when you should be part of their personal healthcare team. The screening process for OSA takes about 2 minutes of a hygiene exam and it should be part of your preventive protocol. Prevention Protocol … Medicine is reactive, dentistry is proactive. The average healthy patient sees their dentist 4 to 6 times more often than they see their primary care provider. People go to their medical doctor when they have symptoms and need to be treated but dentistry is positioned to identify abnormalities before symptoms develop. It’s all about screening. The possibility of early detection has been noted by the insurance industry. The Insurance Industry … Most large insurance carriers have more money than banks. Delta Insurance is the only one that is dental only, the rest offer medical insurance. If a dental practice can identify abnormal systemic conditions before symptoms develop, treatment would save tens of thousands of dollars per incident and tens of millions annually. You will start to notice that as insurance reimbursements continue to decline, new diagnostic codes will become available for processing. Dental practices will be rewarded for preventive medicine. It all starts with patient screening. Patient Screening … This is a team task. The screening process is nothing more than asking a few simple question while your team is taking the patients blood pressure. I hope you are check-ing BP because that is the ground floor of any total systemic health program. Questions about head aches, indigestion, snoring, or any aches and pains should be discussed with your patient. Your Patient … Yes, they are your patients and just like your MD counterparts you need to be able to direct them to other specialist and provide your insight to their primary care providers. In the next few months you will be hearing about salivary tests that can gage the probability of your patient developing all sorts of systemic conditions. Imagine being able to inform a patient that they have a 70% chance of developing heart disease and providing that information to their primary care provider. You could save lives. But OSA screening is also a practice builder. OSA Practice Building … Medical deductibles are high and dental OSA treatment plans are usually rejected but a condition has been diagnosed. With the patient’s permission the results of the test should be forwarded to their primary provider via registered mail and revisited at their next appointment. The chances are that the CPAP prescribed is not being used opening the door for the oral appliance. Please feel free to contact me for more details on systemic programs. Beware the Tax Man … Q4 is Here! Did a tax advisor tell you that you made too much money and have to pay the government “real money”. You got got smacked for being successful. Well, this may be your last chance to do it right. Hopefully, you will have to write a check because you had a good year, but who’s name is on the check is the question. If you haven’t scheduled your Q3 review I suggest you do it today. You also need to know how your business will be effected by the impending changes in tax reform. Tax Reform … It’s coming and you should prepare now for next year or figure out what to do if it is retroactive to the beginning of this year. One thing for certain is that federal money will not be giving freely to states and that means that the states will have to find the lost revenue in other places or begin trimming services. Trimming services is political suicide so don’t expect that to happen. The federal attempt to plugging up some of the holes in the ship (the low hanging fruit) may start with the investment tax credit. The Investment Tax Credit … Was put in place to stimulate factory production by allowing the buyer to claim several years of depreciation on certain durable goods in a given tax year if those items are used to conduct business . The US congress needs to reauthorize this special rule (IRS Sec. 179) every year and if not done by December 31st the deduction will go away in 2018. Everyone needs to reinvest in their business so it is important that you have this conversation with your tax advisor. The federal government’s tax package will also have a dramatic effect on the States. The States Low Hanging Fruit … The Consumer Use Tax is a large part of the states lost revenue. In NJ as a general consumer you are required to report all tax liability after exceeding the $500.00 ceiling. That allows for around $7000.00 in out of state purchases. However, a NJ business of any kind is liable after $1.00. The hard part is understanding what is considered non-taxable in the state being as there is no published list. Any seller that collects state sales tax assumes the non-taxable liability. It is important that you discuss the Use Tax requirement with your tax advisor. Your Tax Advisor … If you are reading this publication the chances are that you own a business or are involved in running one. A quality tax advisor (accountant) is essential in running a business. If your accountant just crunched numbers and tells you what you owe, your probably leaving real money on the table. Quality consultants in all areas of business can be expensive so do your due diligence and ask question. Accountants are not expenses, they are investments and should produce a measurable ROI. ROI (Return on Investment) … When running a business every thing you do, every check you write, every new patient you spend time with is an investment. The monetary return over an annual time frame needs to be measurable or the investment may not be worth the time or energy. I have seen clients change accounting services because they were too expensive. Maybe they just never utilized services or maybe services were never offered, either way both effect the ROI. One of the most common mistakes a business owner makes is to giving into emotion and the fear of change. A quality leader will invest time in gathering information and making difficult informed decision. Informed decisions … Making informed decision is essential for success. Please feel free to contact me with any questions or concerns. What are Bioactive Materials and why are they important? If you are in the oral healthcare field, You can’t afford to miss this event. Bioactive Dental Materials Are The Future! The bridge between living tooth and a manufactured material has been discovered!